Cliff Lee is once again unable to win his first start as the Phils fall to the fish, 6-2. 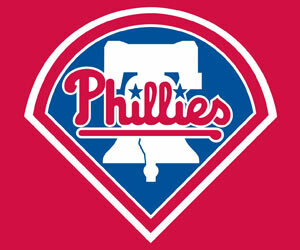 Cliff Lee was once again denied his first victory of 2012 as the Phils fall to the Marlins, 6-2. The Marlins took a 1-0 lead in the first as, with runners on the corners, and with one man out, Logan Morrison hits an RBI ground out, 1-4-3, scoring Jose Reyes, who had earlier doubled, then went to third base on Hanley Ramirez’s fly out to center, while sending Giancarlo Stanton, who had just walked, up to second base. The Marlins added to their lead in the third as, with a man on second, and with one man out, Stanton hits an RBI single, knocking in Ramirez, who had just doubled, giving the Marlins a 2-0 lead. The Marlins made it a 3-0 lead two batters later as Omar Infante hits a sacrifice fly, scoring Stanton, who had moved up to third on Justin Ruggiano’s single. The Phils would get a run back in the fourth as Hunter Pence hits a lead-off home run, his fifteenth home run of the season, making it a 3-1 Marlins’ lead. The Marlins increased their lead in the fifth as, with runners on second and third, and with one man out, Ruggiano hits a two-run double, knocking in Stanton, who had earlier singled, then stopped at third on Morrison’s ground-rule double, and Morrison, who had just hit a ground-rule double, giving the Marlins a 5-1 lead. Three batters, with runners on the corners, as Ruggiano had stolen third base, and Gaby Sanchez had walked, and with two men out, John Buck hits an RBI single, knocking in Ruggiano, giving the Marlins a 6-1 lead, while sending Sanchez up to second base. The Phils would cut the Marlins’ lead down to 6-2 in the ninth as, with a man on second base, and with one man out, Pence hits an RBI single, knocking in Chase Utley, who had earlier singled, then moved up to second base on Carlos Ruiz’s ground out, 6-3. That would end up being the final score as Ryan Webb got Placido Polanco to ground out, 5-3, for the game’s final out. Cliff Lee (0-5, 4.13) took the lost as he went four and two-thirds innings, giving up six runs on ten hits and two walks, while striking out three. Raul Valdes and Jeremy Horst combined for three and one-third scoreless innings, giving up one hit (Valdes) between them, while striking out four (two batters each). Josh Johnson (5-5, 3.80) got the win as he went six innings, giving up a run on four hits and two walks, while striking out six. Edward Mujica and Mike Dunn combined for two scoreless inning, giving up just a hit (Mujica) between them. Ryan Webb pitched an inning, giving up a run on two hits. The Phils had just seven hits in the ballgame, with Hunter Pence (Single, Home Run, 2 RBIs) and Placido Polanco (Singles) both leading the club with two hits each. Juan Pierre, Chase Utley and Shane Victorino had the other three Phils’ hits, all singles. The Phils also had two walks and two stolen bases (Pierre (19), Jimmy Rollins (14)) in the game. The Phils (36-43, 5th) continue their series with the Marlins (36-40, 4th), playing an afternoon game. The game will be played at Marlins Park and will start at 4:10 pm EDT. The Phils will send to the mound Cole Hamels (10-3, 3.03), who is coming off a no-decision against the Rays on June 24, as he went seven scoreless innings, giving up three hits and three walks, while striking out seven, in the Phils’ 3-2 lost. He’ll be going for his eleventh win of the season. The Marlins will counter with Mark Buehrle (6-8, 3.66) who is coming off a win against the Blue Jays on June 24, who pitched seven scoreless innings. giving up seven hits and two walks, while striking out seven, in the Marlins’ 9-0 blow out. He will be trying to give the fish the series win. The Phils will be trying to even up the series this afternoon. It’s like the big markets are getting back at the aces of the 2010 World Series. What is this? Both Lee and Lincecum having been doing awful this season. I have really no idea, but I think it’s just a case they’re both having bad years. Lee is probably not yet over what happen during the previous post-season. As for Lincecum, I think the league has simply caught on to his tricks, and he will have to learn some new ones. Actually, I don’t think Lincecum really had many “tricks”,so I don’t know about the theory. Maybe I’m missing something, though. Can you elaborate on what you mean? I’m talking about his delivery. It is deceptive, which is why he’d been giving hitters a hard time since he started pitching for the Giants. It’s obviously is no longer fooling batters, so he need to adds some new tricks, as in more pitches to help with his effectiveness. Otherwise, this might not just end up being a bad year, but the precurser to several years with bad win-loss records. I think it may be more his lack of velocity. There are plenty of deceptive deliveries that still remain effective- see Weaver, Jered. I remember a Giants player when he came up said, “You see a bunch of guys who can throw 97, but you don’t see many who throw it and it looks like it’s coming out of their head.” Tack on this with his devastating off-speed pitches and you have a two-time Cy Young winner. Lower that velocity to 91, though, with the same accuracy, and hitters can look for the off-speed pitches instead of having to adjust to them. Or at least that’s my personal theory. Hhhm, you may have a point there. If his velocity is going down, then that may be a major reason for other teams to finally be able to rough him up than they were able to in the past. Yeah, he’s never really been a person who keeps his fastball low. In the mid-90s, batters couldn’t catch up with it; but in the low 90s, these balls are being hit for doubles (in addition to the stuff I mentioned before). I personally witnessed a few of these in his last start against the Nationals. Which is the main reason why I think he need to add some new tricks, as in kinds of pitches, to his arsenal, else they are going to keep hitting him, if his velocity doesn’t improve within a couple of seasons. The Phils are unable to overcome a five-run first as they drop one to the Pirates, 5-4. Saturday: The Phils are unable to give Cole Hamels some run support as they lose to the Marlins, 3-2.